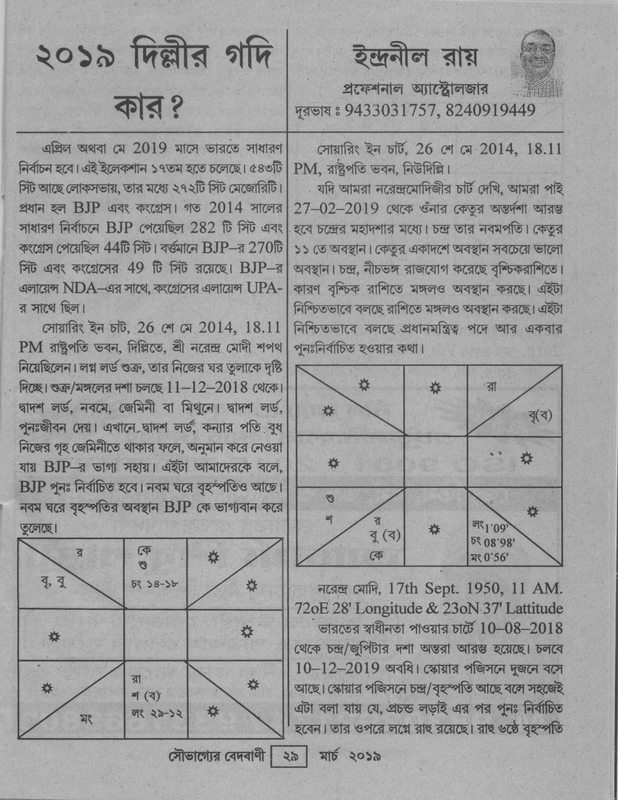 Soubhagyer VedBani, A popular Astrology Magazine in Bengali, publishes my Article on upcoming Lok Sobha Election Result. I predict BJP will won the Lok Sobha Election. MSc (IT), MCA, MA [Astrology from Hyderabad, PST University, NAAC accredited] Gold Medal in MA Astrology. Jyotish Bharati [Gold Medal], Jyotish Shastri, International Astrologer. Conducts Online and Classroom Astrology Classes. 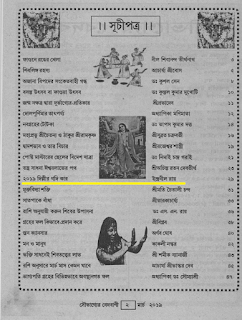 Author in AFA (American Federation of Astrologer) Journal. HoraBhusan Award given by Valchandra Jotirvidhyalaya, Jyotish Adivesan Pune(2016). The Basic Astrology Course is for you. Course is for one year. The Advanced Astrology Course, Financial Astrology Course (Stock Market Astrology) are also available for you. The courses are very beneficial. It is designed in such a way, you can easily learn. You can see your Horoscope and predict yourself. If you are interested please WhatsApp me. Indranil Ray MSc (IT), MCA, MA [Astrology from Hyderabad, PST University, NAAC accredited] Gold Medal in MA Astrology Jyotish Bharati [Gold Medal], Jyotish Shastri , International Astrologer. Astronomer Edmund Halley was supporter of Astrology. To such questions regarding astrology, Newton had quipped, “I have studied the matter, and you Sir have not.” USA Presidents employed the qualified astrologers. Walt Disney still chalks out their dates and time of actions. Vedic Astrology is the study of celestial objects in the universe and their movements influence the Earth and the creatures living on it. Tides, earthquakes, tsunami like situations arise due to gravitational pulls and pushes of such planets. The long time span, which has started in 2008 which will end at 2020, the end time’s events and disasters may be more. In 2017 to 2020 many things may happen. There is a chance of Putin, Russian President can start a war in 2017/2018. Many UFO can be seen. Big earthquakes and volcanoes in 2017 and 2018 may happen in the world. The economic chaos, war, diseases may spoil. There is a possibility of North Korea & South Korea war and end of North Korean President era. North Korean President Kim Jong-un may fly away to another country. Conflict with China with India may become more. Increased ISIS terrorist attacks in Europe. Italy may be collapsed in newer future. India may able to maneuver the recent turmoil’s in the fields of economic, atomic, communication, transport, defence, international trade and relations in the coming years of 2020/2021. The present government may emerge as a stronger administrator .The party may complete the two terms. The Prime Minister himself may become as strong global leader. Side by side, India is likely to become victim of terrorism, high jacking like situations, firings on borders, inflation in oil prices due to erratic behaviour of Muslim countries. In India, with the same type of transition, we witnessed a new Prime Minister in 1984(Late Rajiv Gandhi) and in 2014 when Saturn was to enter in Scorpio after 30 years. This combination had stirred the public opinion. Prime Minister Narendra Modi may be re-elected in 2019 elections in India. India may advance greatly in Space Technology. By 2020, the value of Rupee may grow against US dollar. From 2017/2018 onwards an “Agriculture revolution” may start. The government may give it importance, to Information & Technology. Scientists may discover 3 or 4 planets like Earth where life exists. A very powerful earthquake will hit Asia, most likely India, in the near future. Now we shall look up, how the year 2017 shall be. 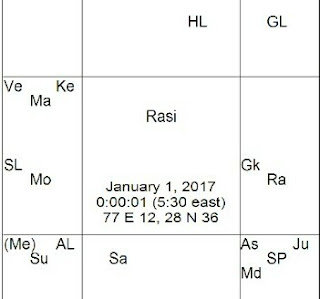 On 26th Jan 2017, Saturn will enter into Sagittarius. On the 6th April it becomes Retrograde. On the 21st June 2017, it is dropped (in Retrograde mode when it slipped backward sign) at Scorpio. On 25th Aug 2017 it will again be direct at Scorpio. On 26th Oct 2017, Saturn will again re-enter into Sagittarius and stayed there, till 24th Jan 2020.Jupiter will retrograde on the 6th Feb 2017 at Virgo and 8th June it will become direct. On the 12th Sept 2017, it will enter into Libra. Rahu will go to Cancer on 18th Aug 2017 and stayed there for one and half year. So happing after happing in the year 2017.Saturn in the Sagittarius means, it is in the 9th house. The 9th house means religion, judiciary, law courts, international law, foreign trade, import and export, tourism, long distance cable etc. Some fake “Baba” and “Guru” may be arrested. We must see some rules and regulations on the above mentioned things. Moreover it is in the 7th house which deals with open warfare, disputes, opposition parties, divorce laws, public relation to national politics, public meetings, immorality etc. So public of India may shout regarding partiality, corruption and miss politics. Open warfare is possible with China and Pakistan. Opposition parties may shout. Divorce rate increased. Jupiter in Libra, the 6th means, nation may deal with forces, army. Warship and warplane, aeroplane may crash. Strike, national debt, hospitals, public health etc. may be news of the television and newspaper. Rahu’s transition in the 3rd house and Cancer i.e. Moon sign of India, indicates mobile companies may offers after offer to the common man. Rumors may spread. War with the neighbouring countries may happen. PM’s or any top leader’s health may look into supervision. Rules relating property may change. New rules regarding schools and colleges may happen. Severe earth quake, turmoil in weather may take place. Any kind of chaos, disorder, disarray, anarchy in communication (rail, air, water) and media may occur. The Month of Jan 2017 will start with rising star Chitra 2nd pada. The 1st lord in the 4th retrograde, and aspected by Rahu, indicates people in general, general life of people, public health, strength of the Cabinet, the party in power may be turmoil due to Opposition to the Govt. Weather is very poor.Studing in schools and colleges are very poor. As Jupiter is afflicted by evil aspects of Mars by its 8th aspect, the effects it produces are not good (dangerous). As the affliction comes from the 8th house which stands for the calamity, serious accidents, mass death, unknown problems, enemies, war etc, so the peace of the country would be disturbed. As it is placed in the 1st it indicates start of war, then ultimate victory seems possible. The 2nd lord in the 6th means financial conditions, revenue, banks will do under national force. The 3rd lord in the 6th (interchange the 6th in the 3rd and the 3rd in the 6th) indicates any kind of communication may deal with force (armed or non armed).Strikes may happen .Different rumours may spread. Saturn in the 3rd house, aspect on Rahu, is evil. There is lot of discontent amongst the employees of communications department. There is general unfavourable situation in all the 3rd house affairs. This position of Saturn bring about bring in pressure of the political parties, accidents, illness and death among distinguished people. The defence forces strength remain unchanged or may be decreased. This position of Saturn brings much dissatisfaction among them resulting in protest etc. Laws unfavorably affecting the employees. Relations with the neighbouring countries have an unfavourable trend. The 4th lord in the 1st and the 1st lord in the 4th indicate that, opposition will activate more. Weather condition may be drastically effect the nation. The Sun in the 4th aspected by Rahu, is afflicted by Mercury(R), so it causes undesirable results. The Govt. may have faced much trouble. If elections are held at this time, the Govt. loses and the opposition wins (state elections also). The cabinet as a whole may be in trouble. Agriculture industry, mines and minerals are in bad shape. Farmlands may face problem. The Govt ignores the demands for bringing about helpful changes in the learning organization. Afflicted (retrograde) Mercury in the 4th, aspected by Rahu brings about evil results. There is unhappiness among the workers occupied in mining and the agriculture industry. It results in shortage of crops and losses in mining etc. So the growths of crops, food supplies are adversely affected. The armed forces may not be able to achieve their purpose. Afflicted Mercury in the 4th, aspected by Rahu, is very evil, resulting in earthquakes, earth shifts, mining disasters, volcanic eruptions, landslides, floods, forest fires. It may cause extensive damage to crops .It may afflict agriculture, trade and industries. More slum region being produce and the Govt are not being intelligent to do anything about it. Mercury(R) may make widespread destruction to buildings and adversely affects the business. It results seriously afflicting the living conditions of the people, due to the calamities like floods, earthquakes, mining disasters, forest fires and volcanic eruptions. It will prove damaging both to the opposition parties and the Govt. The opposition parties and the enemy spies may look like radical. They upheavals and assassination of the PM or other top Govt authorities. The socialist parties may provoke the trade unions to launch strikes in mines, hotels, nation farmlands and in schools and colleges. It does not help to an elected Government. Thus Democratic values decline. It increases the corruption rate among the high class citizens. The 5th lord in the 3rd indicates that, sports, cinema etc became place of rumor and gossip. From here (sports, movie etc) political party may choose campaign for election. Papa kartari yoga Moon in the 5th may indicate, crime related to immorality. There may be crime against women and children. Cases of ill treatment of children and women may be brought to light. It may result in enemy against the Govt. Such activities may be from foreign missions. Stock market may not increase that much as 11th lord Moon is in papa kartari yoga. As Venus is afflicted by Mars and Ketu in the 6th so, it does not help in bringing peaceful conditions. It shows, much vice, want and misery to the people. Food reserves are worn-out. National employment situation is bad. The nation gets into debt. Trade unions resort to strikes. Venus is afflicted by Mars and Ketu, so it causes epidemic. Much illness is caused to the people particularly women and children. Mars in the 6th with Venus and Ketu produce generally evil results. Since the 6th house stands for the armed forces, Mars placement in the 6th provokes disobedience. This position of Mars can result in war. Mars in the 6th may keep the armed forces of a nation in observant. As Mars conjoined with Ketu, it indicates treacherous offense and poisonings. Mars placement in the 6th produces inflammatory diseases among the people. When afflicted by Venus, Mars produces V.D. Both infectious and contagious diseases are the vocation of Mars among the people. Mars in the 6th is responsible for accidents on the warships. When afflicted and signifying the 8th houses, it produces unrest among the lower classes. Unrest, strike may include the working classes. The steel and iron industry suffers. The position with regard to national loans, employments and food reserves suffers. The political parties incite the lower classes against the authorities. The armed forces, particularly, navy, undergo badly. Along with that uprising and agitation, lot of turbulence and unrest in the armed forces. Generally it is the covert collective movements. The enemy carries on misinformation against the existing establishment, in secret and formulate plot to damage the Govt .It makes assassination attempts on the Govt. body, like high post. Everything is carried out in a most secret manner. The enemy also carries out espionage. The opportunity of civil war is there. The lower classes as well as the labour classes and the working classes are particularly harmfully affected by treasonable misinformation. Trade unions, inimical to the Govt, have a bit of success in their wicked activities. The exports of the nation suffer badly. The fishing business suffers. The common people undergo due to drug taking, and other illegal customs. There is lot of promiscuity and other evil sexual habits in the midst of the people. Crime is on the amplified. Abduction, deceitfulness, bisexuality, illegal use of anything, corruption, deceitfulness, falsification, deception, impersonation, plotting etc. take place. Large number of suicides occurs. Scandals in the armed forces, particularly navy may happen. Ketu in the 6th as afflicted by Mars and Venus, it incites deceit, disloyalty and plotting in the armed forces, mainly navy. The trouble is usually created by the opponents to the nation. People suffer. Problem for the nation. The afflicted Ketu generally results in barrier and hindrance in all matters related to the 6th house. The 6rd lord in the 3rd (interchange of the 6th in the 3rd and the 3rd in the 6th) indicates any kind of communication may deal with force (armed or non armed).Strikes may happen .Different rumours may spread. The 7th lord is in the 1st indicates, people of the country in general deals in open enmity with the Government. Nation affairs may deal with international policy, law, national and nation politics. Jupiter in the 1st opposed in enemy place is very evil and brings about sudden and unexpected complications of a serious nature with foreign countries. There might be sudden disturbances which may bring about sudden blows. Enemies of the nation might make sudden moves. There could be conspiracies to assassinate the members of the parliament. There are insurgency, revolution and other types of lawlessness. The opposition parties may conspire to create unrest. Unusual and unforeseen happenings take place. 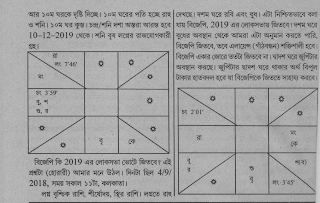 This position of Jupiter indicates lot of agitation rioting, strikes, disorder, detonation, murder attempts and other types of anarchy and sedition. The foreign policy could undergo unexpected changes which may not be favourable. The 8th house in the 6th means public mortality, death rate, suicide, natural calamities like earthquake, famine, fire may deal with hospitals. Health of PM Etc. high Govt officials may take proper attention otherwise disease or demise may happen. The 9th lord in the 6th means long distance travel, sea voyage, religion, temples, and churches may deal with problems. Fake gurus may be caught. International law, foreign trade and affairs may face strikes, mass agitation. The 10th lord in the 4th retrograde indicates, party in power, political position may deal with opposition to the Govt. Nation may damage through weather condition like earth quake etc. The 11th lord in the 5th indicates, national revenue may come through game and art but not in a massive way. Nation legislature and legislature may include speculation. Different political party may not come to agree who is the CM. The 12th lord in the 4th indicates, secret plots may be deal by the opposition to the Govt. School and colleges may face unexpected troubles. Weather condition may spoil the 4th house significant as a whole. 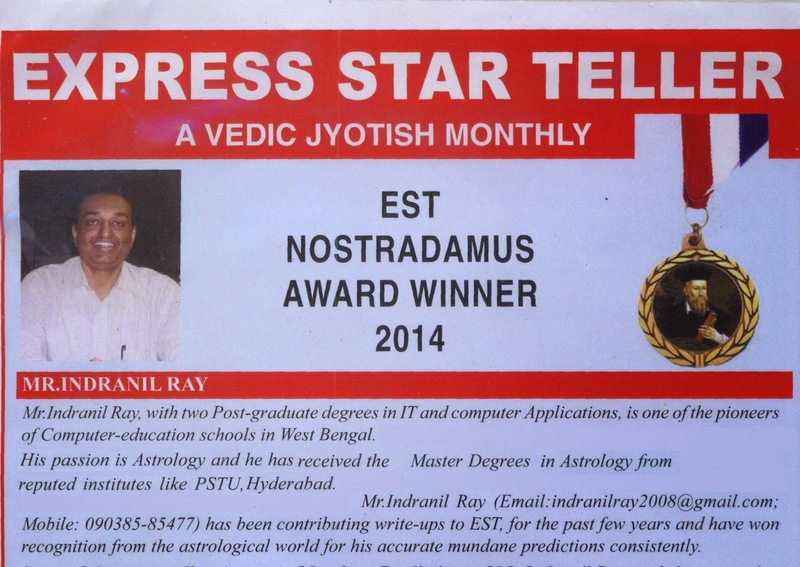 Indranil Ray MSc (IT), MCA, MA [Astrology from Hyderabad, PST University, NAAC accredited] Gold Medal in MA Astrology. Jyotish Bharati [Gold Medal], Jyotish Shastri. 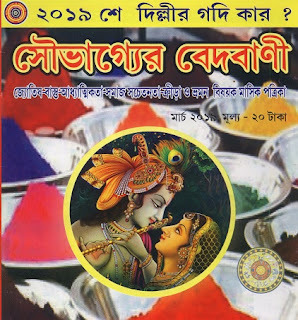 Author in Jyotish Digest Express Star Teller, Modern Astrology, VagyoVarta. Saturn is going to transit to Sagittarius on 26th January 2017. Saturn moves from dark, emotional Scorpio into freedom loving, philosophic Sagittarius.It changes not only at the personal level but at the level of our social, ethical and governance systems as well. Sagittarius is a very different force to Saturn. The typical adventurer, ruled by Jupiter, the planet of expansion, abundance and good fortune. Sagittarius always falls on his feet.While Saturn is all about regulate and structure, constitution . If somebody used to be more excessive, running away from any difficult situation, indulging too frequently in alcohol, rich foods ,other stimulants ,then expect Saturn in Sagittarius to deliver an attractive noisy awaken call. When Saturn forms a hard aspect to an individual point in our chart, we may feel that all is sluggish. But these times opening ourselves up to increased wisdom. Significant verdict are often made during Saturn’s hard transits to our personal planets. Saturn transits teaches to take liability for ourselves. We should also look to the position of transiting Saturn by house, the zodiac signs involved, the condition of the personal planet etc. ~Indranil Ray MSc (IT), MCA, MA [ Astrology from PST University Hyderabad, Gold Medal]. Author of Express Star Teller, Modern Astrology, Jyotish Digest, VagyoVarta. Writer of American Federation of Astrologers Journal. Conducts Online and Classroom Astrology Classes also. 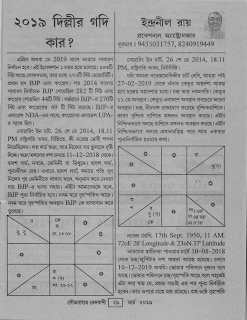 This write-up actually written on 4th July 2015 in Bengali. I am reproducing that in English now for my many English readers. I know as you told me ,many of you have already read ,using translator program ,but I know some times the translator programs create very complicated sentences which may be the far from the real theme. Here this is not the translation(so I have used the word reproduce) line by line and word by word as every language has some own essence, but the original theme is intact. We love to imagine Swami Vivekananda (Swamiji) as Spiritual leader instead of a Religious Leader. Looking at the serious situation in the World Scenario, serious clash relating religions, I feel stern shiver, a feeling like weeping, as we have learned the religiousness gives love and spreads love. In these self centered approach relating the religious wrangle, we have totally forgotten the root of the all the religions is the same, i.e. Spirituality and the Spiritualism. We have learnt from Swami Vivekanandaji that, “which holds” is called religion (Dharma). I can’t differentiate the Islamic Sufism Spirituality and Hindu Spirituality. 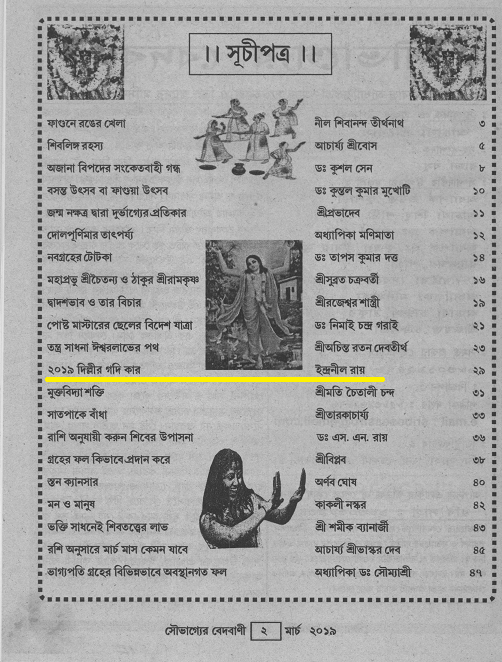 I didn’t find any difference between the sloka from Katha Upanishad, “Uttisthata Jagrata Prapya Barannibodhata”,which Swamiji teaches us by saying “Arise, awake, and stop not till the goal is reached” with “Knock and the door will be opened to you” in Holy Bible (Matthew 7:7c). The meaning of the above sloka means “abandon all varieties of religion and just surrender unto Me. I shall deliver you from all sinful reaction. Do not despair." In Sacred Qur'an we find "Bismillah al rahman al rahim"(means “In the name of God, most Gracious, most Compassionate.”), a great poetic phrase which offers us deep insight and brilliant inspiration which contains the true essence of Spirituality . Is there any difference between the above sloka of Gita and the above beautiful Islamic phrase? Sole objective of the life is to gain the Spiritual Power. What is it? To know the “Self”. To know the potentiality of the Soul. To know the Infinite power of the Soul which is the part and parcel of the infinite Universe. Through our daily Karma (working), through the all relationship we are cleaning the mud of the soul in this school of the Universe, named Mother Earth. Swami Vivekananda said “Man is to become divine by realizing the divine. Idols or temples, or churches or books, are only the supports, the help of his spiritual childhood”. To search “Who am I” is the starting point in quest of Spirituality. Is there any difference between "I and the Father are one." from Holy Bible (John 10:30) and “Ayatama Brahman” (means “My Soul is nothing but the Supreme Soul”) from Sacred Veda ? This was the tone of Chicago Speech delivered on 11th September 1893 by Swami Vivekananda. He said "As the different streams having there sources in different places all mingle their water in the sea, so, O Lord, the different paths which men take through different tendencies, various though they appear, crooked or straight, all lead to Thee." It was actually the great lesson to us, the member of this Mother Earth, for spreading Love and searching the Soul, inside us, for knowing the true reason for coming in this earth. His sayings “The Christian is not to become a Hindu or a Buddhist, nor is a Hindu or a Buddhist to become a Christian. But each must assimilate the spirit of the others and yet preserve his individuality and grow according to his own law of growth”. In this sacred day of 4th July, the day of the release of the Mega Super Energy (4th July, 1902, the “Voice without the Form”, Swami Vivekananda left His earthly Body), which came in this Mother Earth, very recently in the name of Swami Vivekananda, the same energy which came in the name of MahaPrabhu Sri Chaitnya, Acharya Shankar, Lord Buddha, Jesus Christ and all the Prophets of all the religions. This Mega Super Energy remains in us through the word “I am the voice without the form”. I have a dream, where the continuous powerful stream of Love flows, and each and every corner of this Planet and contend us. I bow my head and show my full respect, reverence, admiration and full regard to this Mega Energy and pray for all the members of this Planet. If you love this write-up spread the word as much as you can for beneficence. Conducts Online and Classroom Basic and Advanced Astrology Classes and Share Market Astrology Classes also. The beginning of July (1st) will witness conjunction between Venus and Jupiter in Cancer at 4th pada of Aslesha. On 2ndJuly, the Full Moon will occur in the constellation of Poorvashadha. On 5th July, Venus will enter into Leo .The Earth will be at Aphelion on 7th July at 01:11 IST . Jupiter transits to Leo on 14 July. 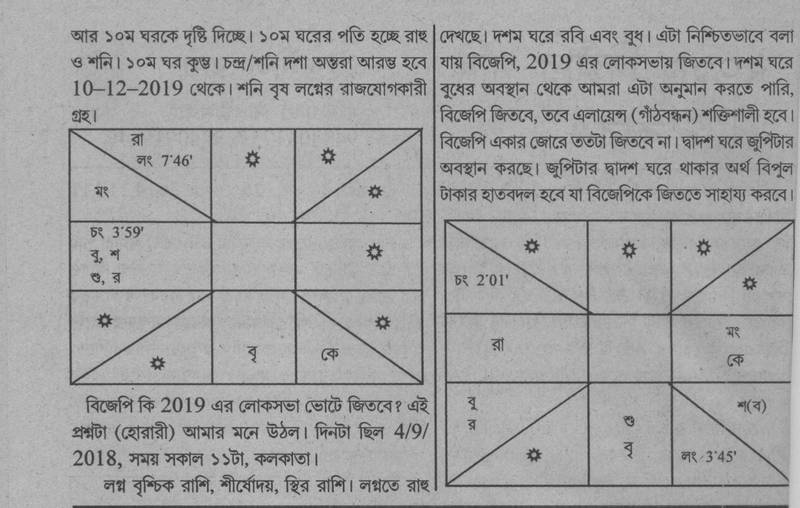 On 16th July, there will be New Moon in Gemini at 3rd pada of Punarvasu constellation. On 20th and 31st July, Mercury and Mars will move into Cancer respectively. Mercury will be at superior solar conjunction on 24th July at 00:41 IST.From the Earth, Mercury will appear to pass around the far side of the Sun. This superior conjunction marks the end of its apparition in the morning sky and its transition to become an evening object over the next few weeks. Venus will become retrograde on July 25th in Leo, in the constellation of Makha(3rd pada).Retrograde Venus has exceptional ideas concerning pleasure, beauty and love, and less concern for the social amenities, which may direct to some form of inconsiderate actions. Venus retrograde teaches lessons in evaluating the real worth and value of people and things in our life. 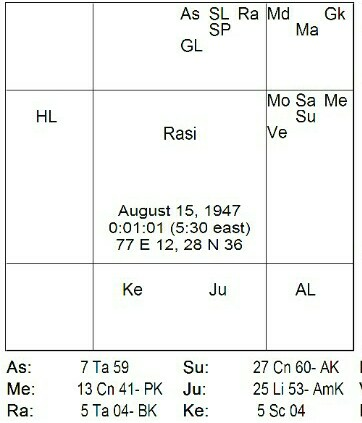 On 17th July, Sun moves into Cancer. On 31st July, there will be another Full Moon in the constellation of Sravana 2nd pada. Many people may consider this Full moon of 31st July to be a Blue moon, since it is the second Full Moon to fall within a single calendar month (July 2015). Astrology sees mankind as being not only influenced by inherited factors and the surroundings, but also by the condition of our solar system at the time of birth. The planets hold the basic life-forces of us as well as the basis of our every essence of lives. By interpreting the roles of these planets and their qualities and creating combinations, astrology is able to present a total and complete picture of the person and his/her potential, based on the natal horoscope. Know Your Bad Time, Good Time, Directions With The Help Of Astrology.